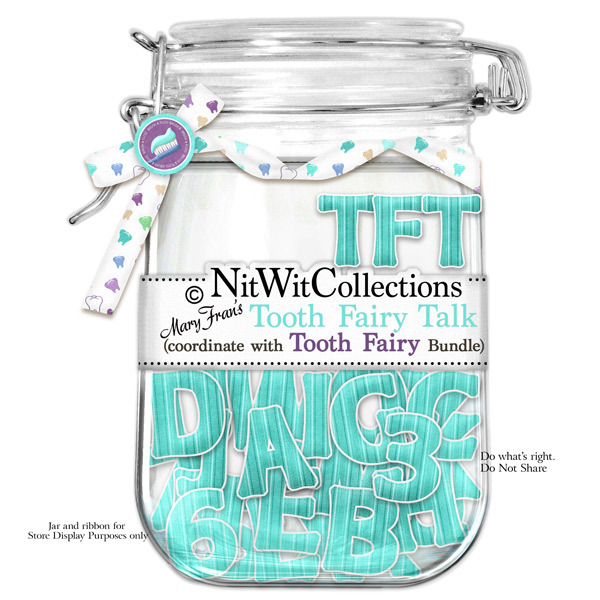 "Tooth Fairy" Talk is our way of trying to help you to spell out what you are trying to say. We know that when you lose a tooth you may speak with a little whistle or maybe your tongue feels odd in this new hole, so we are trying to do our good deed for the day by allowing you to "spell" rather than "say". 1 AlphaWit set of uppercase letters, &, exclamation mark, hyphen, question mark, quotation mark, and set of numbers (0 to 9).